It is pretty clear that there will be more apps to be add as the section of the store grows. section however could really be a boon for them and the developer. Let’s say EA Sports wanted to register people for the next release of Madden NFL or their NHL game. The company, presumably, would have access to see how many units they have “sold” prior to release. It’s a great model for them but for Google, it could also be a great platform to announce an exclusive app to the platform. 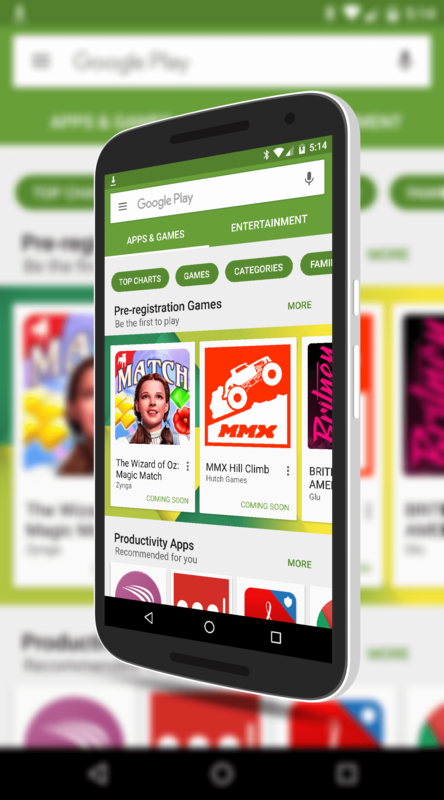 Keep your eyes open for this new section of the Play Store. With it being a back-end update, it may not be out there for everyone just yet.